ECC prides itself not only on award-winning financial solutions but also on the talent of its people. The company is thriving under the guidance and leadership of some of the brightest minds and most experienced executives in the business. Bruce Blechman, the country’s Guerrilla Financing Guru, is a nationally recognized speaker and is one of the country’s top experts in entrepreneurial finance. Mr. Blechman was the Keynote Speaker at The First Financial Innovation and Capital Market Seminar of China’s High Growth SMEs in 2016. 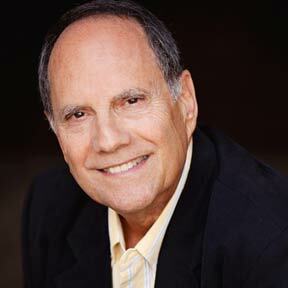 Mr. Blechman is the author of The Secret to Getting Money in Northern California and co-author of the best-selling book, Guerrilla Financing, published by Houghton Mifflin in several languages and used in college courses nationwide. He has been a national columnist, author of the monthly column, “Creative Financing” in Entrepreneur Magazine and the host of the New Venture Money Show on the Business Radio Network, as well as a guest on numerous radio and TV programs. Articles about him have appeared in USA Today, The Los Angeles Times and other national publications. He graduated in the top quarter of his class at the Wharton School of Business at The University of Pennsylvania and has taught courses on Entrepreneurial Finance as an Adjunct Professor, was a mentor in the Wharton Business Plan Program and is presently a contributing editor on the Wharton Magazine Blog. He has been an advisor to the California State Governor and Legislature on entrepreneurial business. For 28 years Mr. Blechman’ national financing advising firm, Entrepreneur Capital Corporation, has helped thousands of entrepreneurs finance their businesses.